Welcome to the ultimate beginner's guide to cryptocurrency. Here, you'll get a crash course in crypto and be well on the right path towards embracing the world of blockchain. Buckle up because we've got a lot to cover. What is cryptocurrency and how do I get into it? Which crypto is right for me? What are Bitcoin and Ethereum? What are altcoins and some popular cryptocurrencies? What are private and public chains? Even if you don’t know what it really is, you will most likely have heard about it at some point. There are a lot of stories about how crypto is going to change the world. You may be asking yourself if crypto is really all it's chalked up to be. But is it the right time for you to take the plunge? Would you even know where to start? Ask your friends about Bitcoin and they’ll have something to say about it. The spectrum is vast: there are people that believe crypto is the future and there are those who believe crypto is nothing but a fad or a scam. There have always been crypto detractors. Some have valid concerns. Others are just out to grab headlines. Just remember that people have their own agendas and just because someone is in the news, doesn't mean they're right. Since you have found yourself here, you must have some interest in what crypto is, why it matters and whether it can play a role in your investment strategy. A lot stories about crypto focus on price movements, from the mighty highs to the gloomy lows. Prices sometimes shoot up – but they can plummet just as fast. For some, investing in Bitcoin or other cryptocurrencies has netted mouth watering profits. But for others who went in unprepared, the losses can be significant. Cryptocurrency has a lot of potential to change the world, but investing in an emerging asset class also carries large amounts of risk. Those risks are vastly reduced if you take the time to learn. There are no shortcuts here. 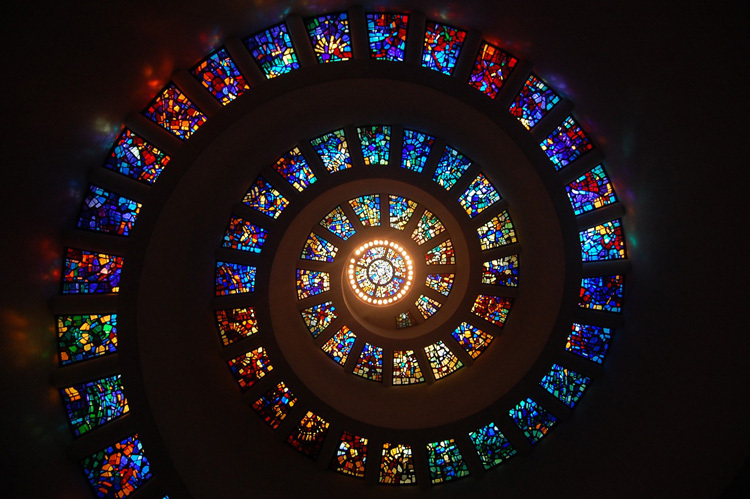 The cryptocurrency market moves in cycles. We have been in a downwards trend, a bear market, since January 2018. But if we look at past market cycles, this implies there are a lot of opportunities in crypto. Bear market: A sustained period in which an increased selling pressure results in prices decreasing more than they increase. Bear markets can last months or even years. So how do you know if crypto is for you? If you can learn to invest smartly, investing in crypto can be excellent financial move. But there's no need to rush into this. Take your time. Learn. Reflect. The first step to investing in cryptocurrency is understanding the inherent risks. Crypto is an emerging asset class. Despite the fact that there is huge potential, adoption is not guaranteed. If and when you enter crypto, risk management is a must. This goes beyond crypto. It's a rule for life. But remember: crypto shouldn’t be your only investment – and you should be aware of the speculative state of the market. With that said, if you end up hooked on the exciting tech, you'll be entering a brave new world that will open up your eyes to something wonderful. Then let's learn more about crypto and how to take your first steps into this world. It could be the best decision you ever make. So crypto might be for you. Now let's learn some more about it and see how to get involved. Getting started can be overwhelming. There are terms to learn and projects to research. Bitcoin is the most well known cryptocurrency, although it’s not the only one by any means. Ethereum is perhaps the second most well known crypto, but there are thousands more to choose from. Cryptocurrency: A form digital cash. It is an online currency that can be sent to anyone without involving third parties in the transactions. This means there are no banks, credit card companies or anyone else involved when you are sending your money. Send it anywhere, anytime, with low fees. Almost all cryptocurrencies are built on top of blockchain technology, so they share some key characteristics. All transaction records, once on the blockchain, are immutable. They cannot be changed. They are secure, transparent, and reliable. Not all cryptocurrencies are designed to act purely as currencies, however. A large number of cryptos are created to support an ecosystem and be the currency, or payment method, for a business or platform. A good example of this is supply chain. There are a number of cryptocurrency projects that are focused on improving the supply chain process using blockchain technology. These projects have a cryptocurrency that companies use to make supply chain more efficient. Records are kept on the blockchain, making it more efficient and easier to track where a product has come from – from farm to fork, in the case of food. There are plenty of other examples, too. There are projects focused on gaming, finance, business, luxury goods and much more. Hopefully this has whetted your appetite for crypto. If you're almost ready to take the plunge, you'll need to find a place to buy and, most importantly, decide what to invest in. Which cryptocurrency should I invest in? There are more than 1,500 cryptocurrencies to choose from – and that's not including the ones that failed. No-one could be expected to understand and evaluate each and every one of them – and thankfully, you don't have to. When trying to decide which cryptocurrencies to invest in, initially you're most likely going to start looking at established coins. These are the coins that have been around for a while and tend to have some of the larger market caps, as well a solid communities and track records behind them. Market cap: The total value of a cryptocurrency's circulating supply. Not all cryptocurrencies are going to succeed. By backing a more established project, you should have more chance of backing a worthy horse. We know that a lot of startups fail – and crypto is no exception. Ultimately, however, no one can make your investment decisions for you. Instead, learn how to research crypto projects. Look into things that could signify growth potential. Does the project generate revenue? Does it need to be a cryptocurrency? These are just a few aspects you can look at when you are fundamentally analyzing a project. It really comes down to whether you believe the project is competent, has a good outlook and potential to generate revenue or value in the future. When you are starting out and looking for established cryptocurrencies with a strong community, the two big guns, Bitcoin and Ethereum, are an excellent starting point. Not only are they well established, but they're also the currencies most commonly used to buy other assets on crypto exchanges. So let's take a deep dive into each of these behemoths of the crypto world. Bitcoin is by far the most well known cryptocurrency. It’s what every mind jumps to when crypto is mentioned. Ethereum isn't far behind. While these two share a number of similarities that have helped them achieve their status, they are also very different. Bitcoin was the first cryptocurrency to achieve some form of large-scale adoption. It all started in 2008. The Bitcoin White Paper was written by an unknown figure, going by the monicker Satoshi Nakamoto. 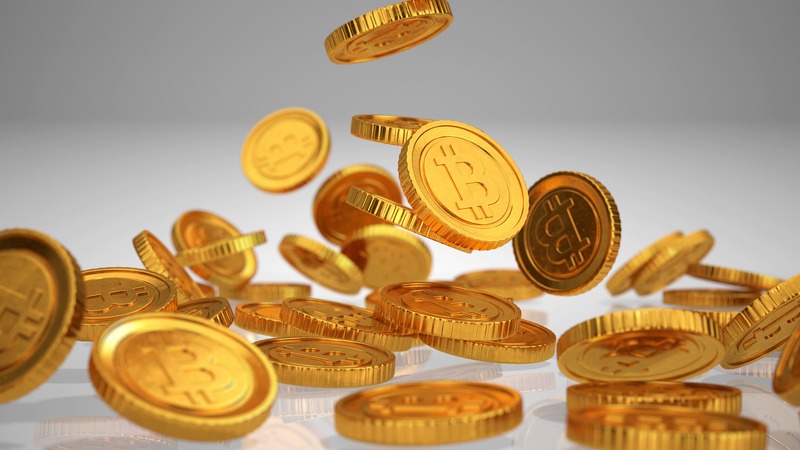 The paper outlined the proposal for Bitcoin, a peer-to-peer decentralized digital cash. In 10 years, Bitcoin has become a digital currency with no central authority. The network is maintained by computers all around the world (called miners), who do this job and confirm transactions on the blockchain in return for small rewards of Bitcoin. Mining: Members of the Bitcoin network that compete to earn the right to process transactions. In return they receive a payment of Bitcoin if they successfully process a transaction. Most important here: Bitcoin is decentralized. All transactions that occur on the Bitcoin network are stored on the blockchain. Once a transaction is transmitted to the blockchain it is final. Nobody can change it. The blockchain is immutable. Blockchains use different kinds of consensus mechanisms to confirm transactions and put data onto the blockchain while preventing double spend, among other things. Double spend: When a digital currency is spent twice without the network realising. Consensus: Agreement in a blockchain network about the transactions in that network. Bitcoin uses a Proof-of-Work consensus mechanism, which means that Bitcoin can be mined. Mining refers to the work involved. Unlike Bitcoin, Ethereum was not created by a mysterious figure. 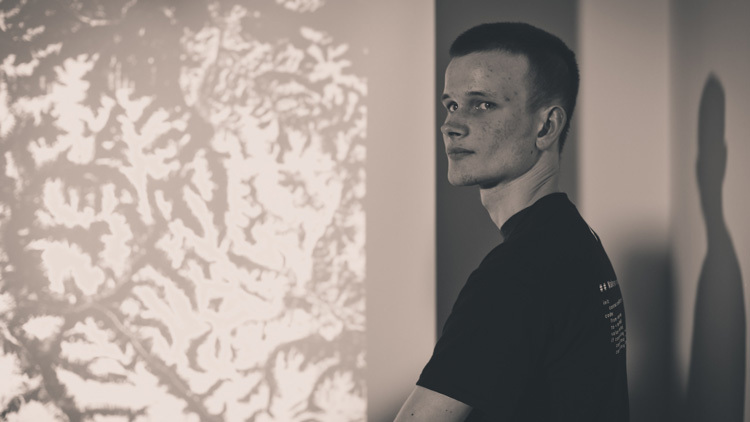 Ethereum was first theorized by Russian-Canadian programmer Vitalik Buterin and has been built to what it is today by Vitalik and a number of other developers as part of the Ethereum foundation. Ethereum is a platform. It allows developers to build digital applications on the Ethereum network. Ethereum also pioneered the creation of smart contracts. Smart contracts: Smart contracts are self-executing, digitally facilitated contracts that can be created on the Ethereum network. Ethereum is responsible for a large change of the cryptocurrency landscape. It greatly reduced the difficulty of creating a blockchain or cryptocurrency project. As a result, a lot of projects have been built on top of Ethereum's blockchain tech. In 2017 this led to a frenzy of new projects and initial coin offerings, where thousands of ideas came to life and worked to raise significant funding from the crypto community. Some of these projects are still around, but a few struggled to take off. What are the differences and similarities between Ethereum and Bitcoin? Bitcoin and Ethereum are both blockchains, so by default they share a number of key characteristics. They are decentralized networks. All transactions are immutable and cannot be reversed – and the networks are maintained by contributors all around the world, who are rewarded for their efforts. We've already established that while Bitcoin was created by an unknown person, or perhaps even a group of people, the Ethereum founders and developers are well known. But there are similarities in the large communities of developers who devote their time to Bitcoin, Ethereum and the greater good of crypto. Another similarity is that at present, both Ethereum and Bitcoin utilize a Proof-of-Work consensus mechanism. This will change soon though. Ethereum is working on moving to a Proof-of-Stake mechanism in the near future. As you learn more about Bitcoin and Ethereum, you will see that they are very different but with many shared ideas. We've talked enough about Bitcoin and Ethereum for now. There are other cryptocurrencies to consider. We call these others cryptos "altcoins". Altcoin: any cryptocurrency that isn't Bitcoin (or Ethereum). Some would argue that as altcoins become more well known they tend to lose their altcoin status. For example, not long ago, NEO (or Antshares as it was known before) was unknown. But then, after a monumental price run in 2017, NEO became a household name. But generally, anything that isn't Bitcoin (or Ethereum) is going to be classified as an altcoin. Since altcoin is a blanket term it covers a myriad of projects, from the useful and innovative to the pointless and weird. Garlicoin is one that was created just for fun. As was Banano. 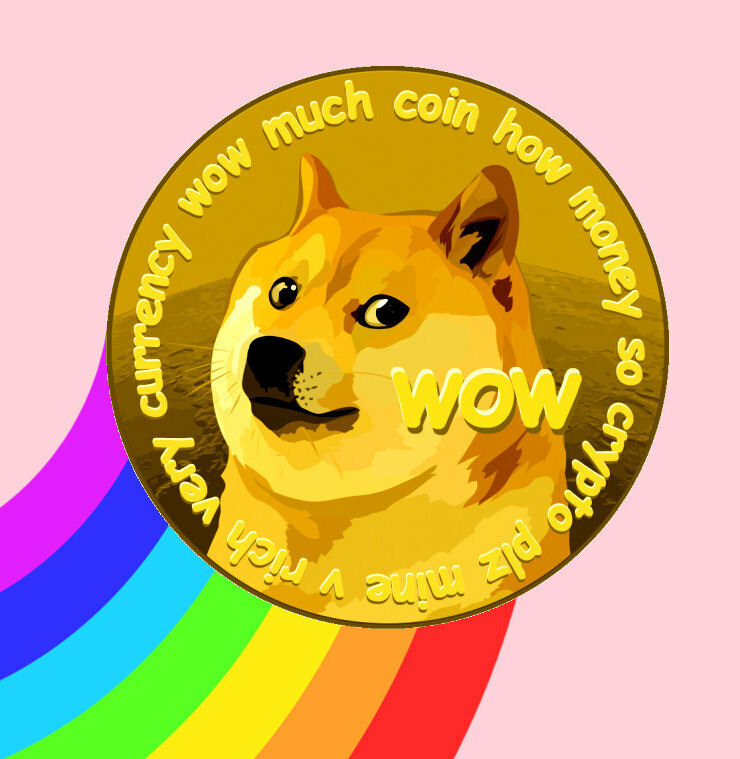 And Dogecoin is perhaps the most well known coin that doesn’t take itself seriously, originating from the doge meme. Crypto investors are infatuated with altcoins. They are much like startups – they can provide big risk, big reward for any investors. In the past, some altcoins have generated massive returns in a short amount of time. Everyone is looking for the next altcoin that is going to pop, be it in the short or longer term. What are some popular altcoins and cryptocurrencies? XRP: A cryptocurrency aimed at banks. XRP's purpose is to increase speed of international payments and settlements, while decreasing costs. Bitcoin Cash: A hard fork of Bitcoin aiming to improve the fundamentals of Bitcoin as a currency. Bitcoin Cash has faster, cheaper transactions than Bitcoin. However, Bitcoin Cash has recently forked into two competing chains, complicating the issue slightly. Hard fork: A big change or upgrade to a blockchain protocol that creates two separate chains that are incompatible with one another. Litecoin: A fork of the Bitcoin source code, Litecoin is focused on providing cheaper and faster transactions. Stellar: A payment network for cross border transactions. It doesn’t focus on banks, unlike XRP. VeChain: A global enterprise blockchain platform, targeting many business areas including supply chain and luxury goods. So that's a lot about crypto, but we should circle back and give blockchain the spotlight for a minute. We've mentioned blockchain technology a number of times throughout this article. But what exactly is blockchain? It’s easy to get lost here. So let's break it down. Once you understand the basics, you'll be able to build on top of what you have learned. First and foremost: A blockchain is a record of transactions. It's like a database. But a bit more interesting. Each transaction is stored in what’s known as a block. 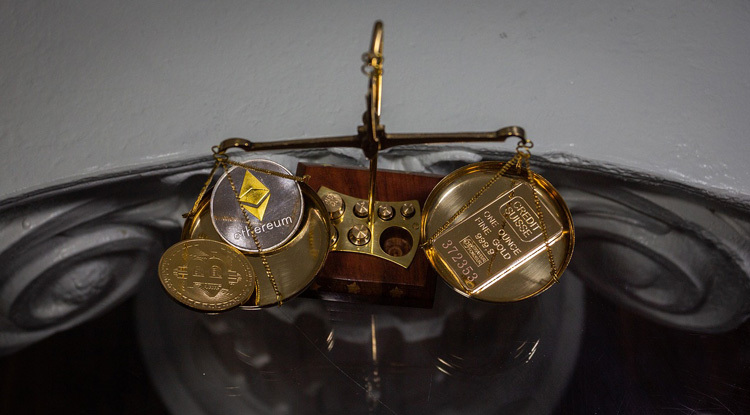 These blocks are ordered chronologically and each one contains details of the transaction, as well as details about the block immediately before. Block after block after block... a blockchain. So if one block were to be removed or changed, the chain of transactions would be broken. Since the transaction chain cannot be broken, it is said that blockchain is immutable – it can't be changed. This means that once a transaction has been written to the blockchain it is final. This results in blockchain being highly transparent and secure. The transactions that are written to a blockchain are controlled by a decentralized network. Each contributor, known as a node, maintains a copy of the entire blockchain. Node: A device confirming transactions and maintaining integrity of a blockchain network by running the core software of that blockchain. This means that if someone changes their copy, it will not be reflected on the rest of the copies around the world, and therefore their changes are rejected by the consensus of the network. When a new transaction is proposed for the blockchain, one of the nodes processes the transaction and the other nodes verify that it is correct before it is written to the chain. In a public blockchain, such as Bitcoin, anyone can become a node and be in for the chance of processing transactions – but you'll need a powerful computer and a lot of electricity if you plan to go this route and become a Bitcoin miner. A blockchain is a record of transactions maintained by network of contributors working to ensure the integrity of the network. As we now know, the purpose of blockchain is to allow individuals to execute transactions without the requirement of third parties. The blockchain exists to ensure that transaction history is maintained securely. But how do blockchain platforms work? 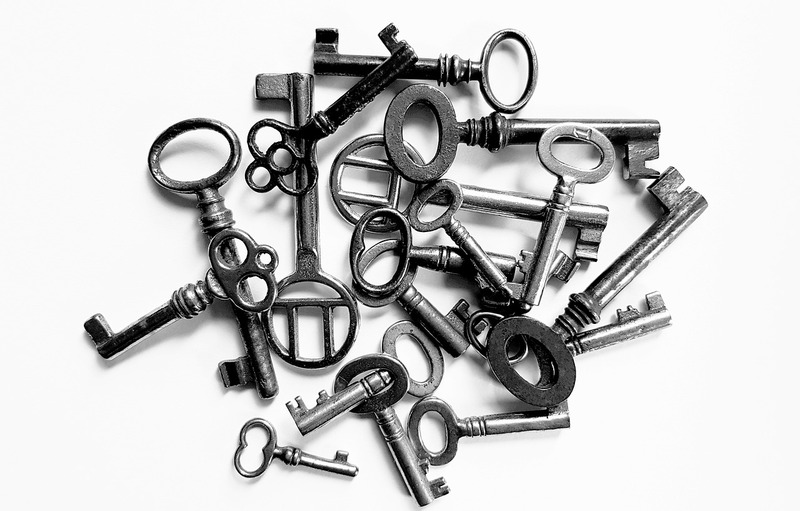 Cryptographic keys are an integral part of how blockchain platforms work. They are digital keys that allow you to verify your identity, providing you access to your digital funds and allowing you to make transactions. These cryptographic keys enable you to prove your identity without using personal data. You have two keys: a public key and a private key. When the two are combined they create a digital signature that confirms your identity, allowing you to send transactions. Imagine Sally wants to send money to Ted. Sally uses her private key to connect information about the transaction to Ted’s public key. Once Ted confirms his identity by combining his public key with his private key, it unlocks the transaction. The transaction is stored in a block with a timestamp, digital signature and information about the transaction. Cryptographic keys add a level of security, blockchain platforms are also distributed, or decentralized, to take maintain security. As discussed before, a blockchain network is maintained by a network of computers, or nodes. When a transaction happens, every node on the blockchain is notified. The transaction will be verified and approved by the nodes, before being added to the blockchain. There are a number of ways that the transaction can be verified and approved and written into a block on the blockchain. 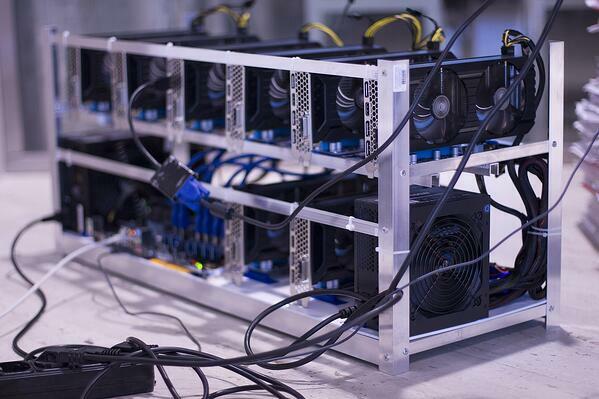 One of the most common is mining, as seen with Proof-of-Work protocols like Bitcoin. Miners compete using computational power to solve complex mathematical puzzles to receive the privilege of processing a transaction and getting some Bitcoin in return. There are other consensus mechanisms, such as Proof-of-Stake. In this case, users stake their funds, which means they keep a large amount of currency in a digital wallet – and use this to confirm transactions, getting a fee in return. We've talk about blockchain a little. But did you know that some blockchains are public and some are private? Public and private blockchains share a number of characteristics – both use consensus mechanisms and decentralized networks to verify transactions and guarantee immutability – but there are some key differences. While public blockchains allow anyone to join the network and process transactions, private networks restrict access. In a private network, only those with an invitation have access to join and contribute to the network. Bitcoin is a public network. Anyone can join the Bitcoin network and start mining, competing to process transactions. The entire transaction history is publicly visible for anyone who wants to view it. The more nodes in the network, the stronger the network is. However, public networks are inherently slower than private networks, because consensus mechanisms must be robust and ensure that agreement is achieved between nodes. Private networks are much more appealing to businesses than public networks because they allow a company to utilize the benefits of blockchain while also ensuring sensitive data is kept secure. Since the networks are smaller, and consensus mechanisms aren’t necessarily required in the same regard as public networks, private networks are also capable of being much faster and more scalable. So blockchain is great. The technology is innovative. But what is blockchain actually used for? We already know that it can be use for cryptocurrency as a form of digital cash, but the use cases go far beyond that. Companies everywhere are jumping at the opportunity to improve their business with this new technology. Perhaps the most clear cut use case of blockchain is in finance. Blockchain makes sending and receiving money, regardless of distance, an easy task. It can massively streamline the current settlement systems between banks – and open doors to much cheaper money movement around the world. With blockchain, third parties are not required for financial transactions. Goldman Sachs estimates that blockchain will save as much as USD6 billion a year in the finance industry alone. 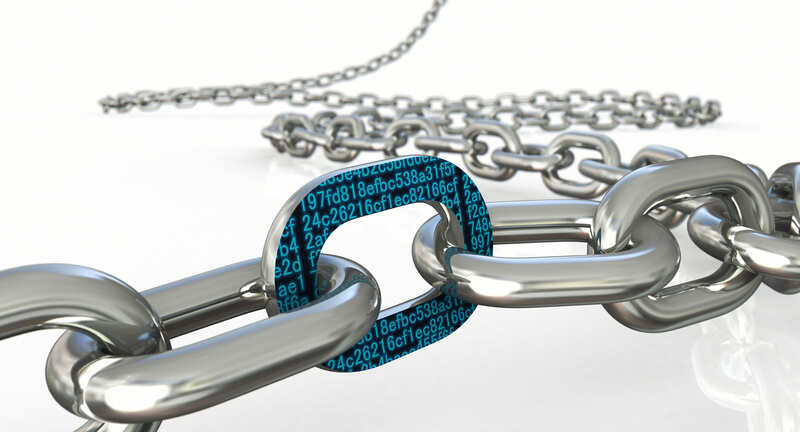 Blockchain is an ideal fit for revitalizing the supply chain process as well. 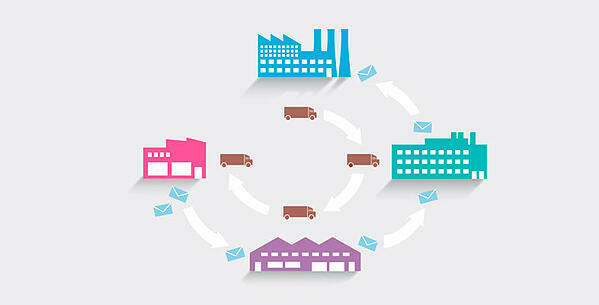 The supply chain is the journey of any given product. It covers the production and transportation of that product. Throughout the supply chain the product will change hands many times – and there is ample opportunity for things to go wrong. If a supply chain uses blockchain technology, the entire process becomes transparent, reliable and secure. Companies know where their goods have been and consumers know where their products have come from. Supply chain is often paper based. Blockchain allows automatic data capture at some stages, or fast data entry at others. Ultimately, this vastly improves efficiency. Marketing is another industry that's seen the power of blockchain. There are a number of startups making use of the tech. Influencer marketing, marketing payment settlement, data privacy and highly targeted advertising are some areas where blockchain can make sense. As a consumer, you can also choose to provide information and be advertised to, in a highly targeted way. 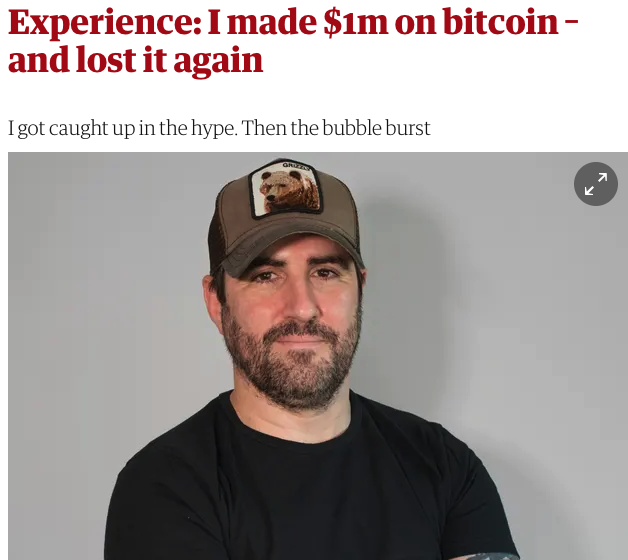 In return, you would be paid in crypto. Buying tickets for a concert or sporting event can be a nightmare. With bots buying all the tickets, and then instantly reselling for more money, it’s not fair. Thankfully, blockchain has a solution: It can ensure that tickets are sold to real people and also control the secondary market, removing ticket scalpers entirely. In gaming, in-game assets are everywhere, but you can’t transfer your assets between games. With blockchain, you have true ownership of your in game assets. Marketplaces exist to allow trading and selling of assets, adding true value to in game assets. Voting is a controversial topic. But, if voting utilized blockchain, all votes would be automatically counted and could be verified, removing any doubt from the official count. Blockchain could transform voting to ensure cheating was not possible, and the results are always correct. These are just a few of many excellent use cases that already exist, and are spreading into large industries worldwide. There are many more where those came from. 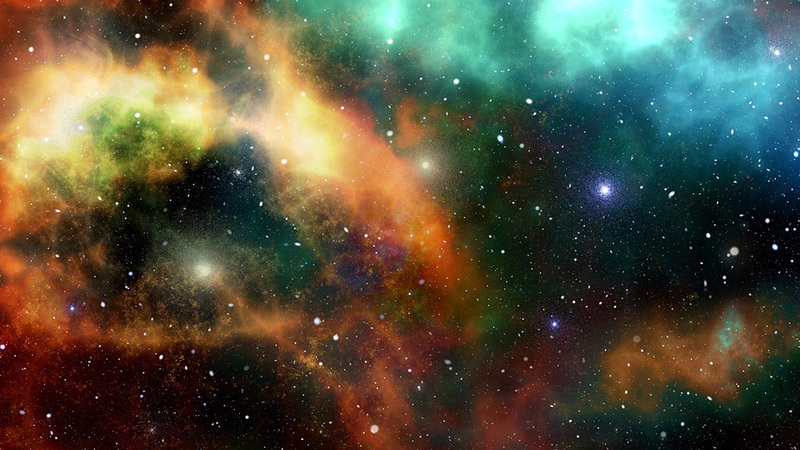 We hope you have enjoyed this brief guide to the crypto universe. You're just now scratching the surface. Want to learn more? We have an eBook for that. It's called How to Get Started in Cryptocurrency and it's packed full of useful information about getting your crypto journey well and truly underway. So you've caught the crypto wave. You know the basics of cryptocurrency and blockchain. But..